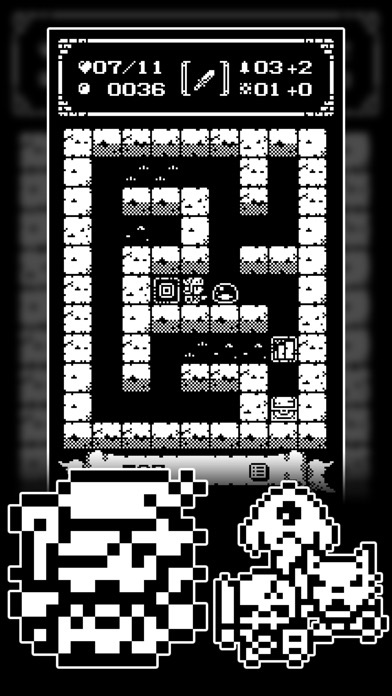 Universal 1-Bit Rogue: A dungeon crawler RPG! Discussion in 'iPhone and iPad Games' started by TouchArcade Bot, Oct 21, 2016. 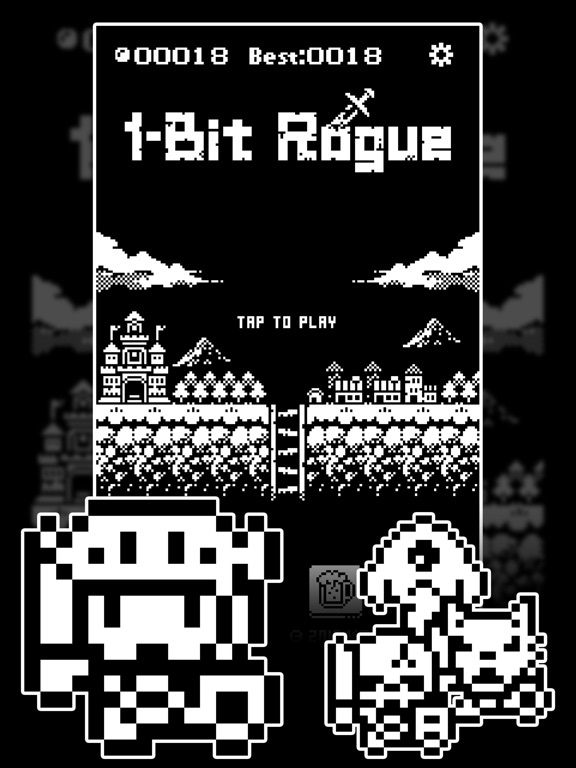 1-Bit Rogue: A dungeon crawler RPG! This is decent. It's pretty simple and fairly luck based, but it's a fun time killer. 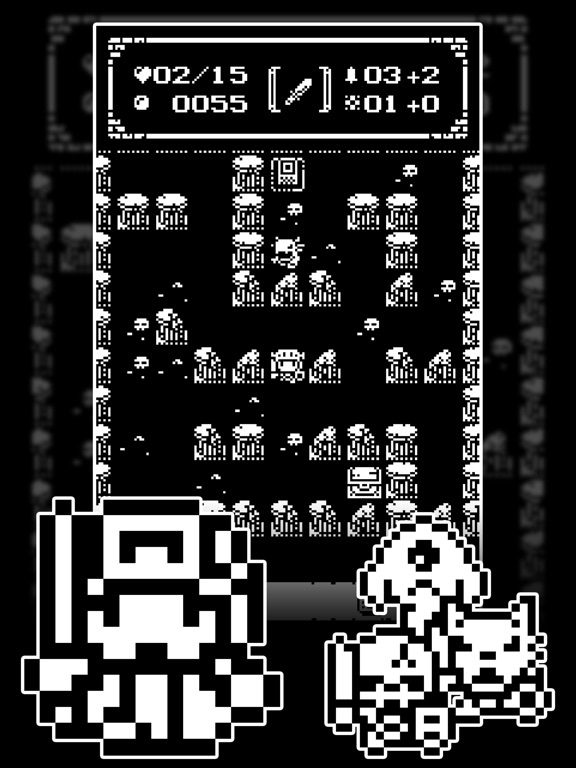 I wish I knew if the IAP for color mode would remove the ads. 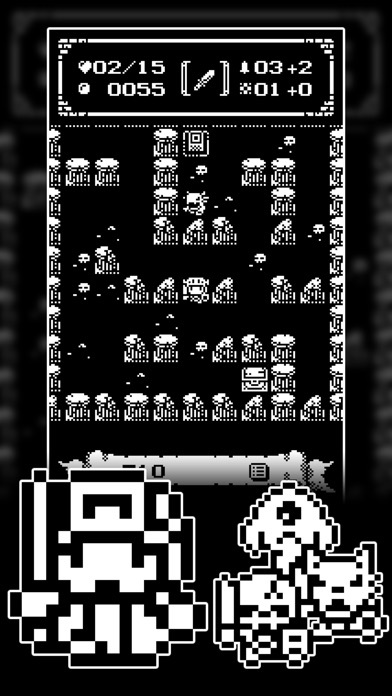 I wish I knew if the IAP for color mode would remove the ads. Also, is there any way to see what the artifacts do? The warrior starts with one, but no idea what it does. 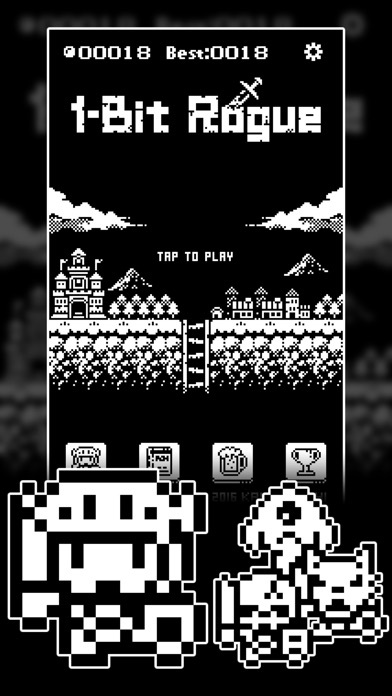 Purchase of 3-bit mode doesn't remove the ads. The collectible artefacts don't appear to add bonuses except for the initial starting ones, e.g. +2 Atk for swordsman. The story suggests the remaining four artefacts have to be collected to win. Took the worst feature of Pixel Dungeon, i.e item degradation, and threw it in here. To be fair, that's a common thing in roguelikes, if not necessarily inherent. 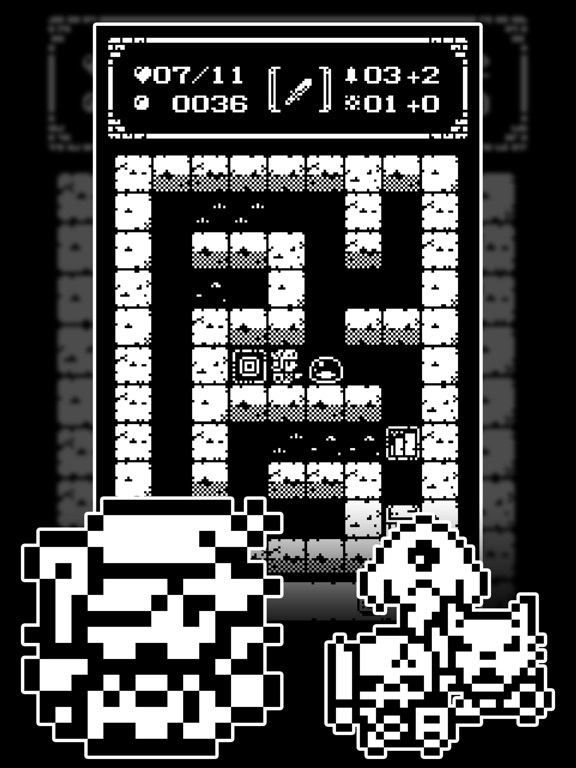 I love some RLs, and I love anything that reminds me of Game Boy gaming, so I'll check this out. Wow that stinks that the somewhat pricy color IAP does not remove ads. Please developers, let us remove them! Just played till floor 8. Extremely basic and easy so far. Hope some kind of challenge kicks in at some point. Well this is a nice surprise. The color mode looks great. It is too easy at first but then again I can't imagine what the floors in the 30s and 40s are like? I like this a lot - simple but somehow addictive. I also like how the devs literally pitch the games only IAP as 'buy is a beer' - similar to the 'for the price of a burger' pitch from Squids. A cheap beer at that! If the iap disables adds and the game gets updated to save your progress when quitting then I'm in. Cool little game. Really need removal of ads upon purchasing beer for the developer! It gets pretty tough eventually. Once you get past the "ending" it gets kind of insane. My biggest disappointment so far was when I unlocked the witch and found that scrolls are exactly like weapons. They just have different damage and durability. There's no range (shooting a fireball for instance) and there's no effects like freezing or anything. I think that would have really added something. Beautiful and fun little game. Desperately needs paid ad removal. This is obviously not a traditional RL (so abit off-topic) but you seem to be implying non-consumable item degradation is common in traditional RLs, which it is not. PD is really the only major exception I can think of. List a few RLs that have weapons and armour that degrade / break from normal use, i.e not corroding items by dipping in water such as in Nethack, or fighting erosive enemies such as in DCSS. Progress will be auto-saved after defeating the first dragon and collecting the Tome of Memory.